Cloud Dance Festival | What Price A Dancer? In our discussion, I was reminded of my research in 2013 on unpaid work, a summary of which was published in One Dance UK’s magazine in 2015 [the longer version is here]; at the time, I’d felt that it wasn’t enough to shout “DON’T WORK FOR FREE”, and that we needed to explore the underlying context before we can truly tackle the topic. Similarly, with the issue of dancers’ rates of pay, it’s not enough to demand “PAY DANCERS MORE”, as the subject is far too complex to be dismissed so lightly. Consequently, I’ve spent the past month interviewing dancers, choreographers, directors, producers, managers, Equity, Arts Council and ITC – and also analysed two years’ worth of audition notices. A few days ago, I came across a 2003 report on research into payscales in dance [link], which had been commissioned by Dance UK and Foundation for Community Dance, and conducted by Jeanette Siddall. Its aims had been to “empower individual dance practitioners to negotiate reasonable rates of pay for the work that they do, in order to assist in raising income levels across the sector”, yet we see that extremely little has changed in the intervening 14 years. While the main development has been the formation of Equity’s Freelance Dance Network and Equity's official rate card for dancers providing baseline rates of pay, most of the report could easily have been talking about independent dance in 2017, with dancers typically receiving paid work for a proportion of the whole year, with the periods of work often being scattered, and, which wasn’t discussed nearly often enough in my research, the need for dancers to “earn more while working to cover periods of unemployment and looking for work”. The other main development, as we should hopefully all know by now, is Equity Dance’s recent awareness-raising campaign [link] to inform dancers that they are classified as workers and not self-employed, and are therefore entitled to extra benefits. The first question, therefore, is who is responsible for how much dancers are paid? As Rosie Kay pointed out, choreographers provide a buffer between dancers and funders and programmers, who are the ones who ultimately determine how much dancers - and choreographers - can be paid. 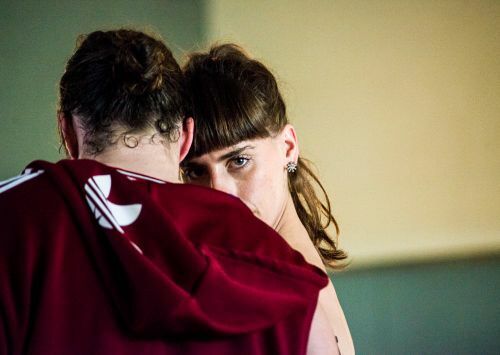 We all know that money is extremely tight all round, so, as Rosie Kay added, "people in dance are not screwing each other: we want to offer employment" - it's just that the constraints within which we work are very complex. When I had started this research, I had hoped that there would be some element of banding where more experienced dancers are consistently paid more, and indeed, Jeannette Siddall noted in 2003 that “there is no formal mechanism for recognising or rewarding experience and no guarantee that an artist with 20 years experience can command a higher level of pay than one who has been dancing professionally for only a year or two.” While several choreographers, such as Avatâra Ayuso, stated that they offer higher pay for older dancers, this was strictly on a choreographer-by-choreographer basis, and always subject to funding. Although the perception is that "it's down to the choreographer to say what their dancers are worth", it's actually not down to the choreographers at all, but what they and/or their producers are able to raise. Many people I spoke to stated that they try to raise as much as possible and pay their dancers accordingly, but they simply can't get the funds - or they don't feel confident that they can get the funds they need. There were three broad lines of argument: firstly, that if people wanted to work with more than two dancers, they would not be able to raise enough funds to be able to pay them more than Equity minimum. This was the price of working with more dancers: if they wanted to work with fewer dancers, then of course they could offer more money. (Lise Smith, dance manager, rightly added that not only do more dancers cost more money, but they also require more rehearsal time). Even established choreographers were not necessarily able to raise enough to pay dancers more than Equity minimum, if multiple dancers were involved. The constraint is on the total sum to be raised, not on the individual rates of pay. Secondly, regardless of what we want to offer. we are dependent on the Arts Council to determine how much money we can have, resulting in a lack of consistency in ensuring that artists are paid fairly, and even in determining what "fair" means. Cate Canniffe, Head of Dance for Arts Council England, stated: "Arts Council England is committed to a policy of fair pay for artists. Our guidance for both National Portfolio and Grants for the Arts applicants is clear that fees for artists and practitioners should be in line with, or better than codes of practice and guidelines set by the relevant lead bodies. In the case of dancers it would be expected that applicants would refer to Equity/ITC standards." In practice, that doesn't work so well. We all know about the arbitrary GFA banding, so that no matter what your project costs, you typically have to keep it under £15k, or £30k, or whichever band has been recommended to you. Also, there are of course inconsistencies: some choreographers have told me that their Arts Council relationship manager clearly informed them that their GFA application would not be successful if they were paying their dancers "so much" - for example, £25 per week above Equity minimum - while on another occasion, Lise Smith and the company she was fundraising for were praised for paying their dancers “well”. She also reported that some applications were being "marked down" for paying below Equity minimum. Thirdly, "emerging" artists feel that they are not entitled to larger funds, meaning they have no choice but to offer their dancers the bare minimum - even though traditionally, emerging artists tend to receive far larger grants than midcareer artists. Nevertheless, this means that artists face being paid less because their choreographers are receiving smaller funds, not because they themselves are worth less. As Cate continued, "We don’t provide guidance on range of salary scales or length of contracts, as this varies from project to project. We do see applications submitted that pay over the Equity minimum because of the calibre or experience of artists, and this is not detrimental in any way to the application. We do also see applications from individual artists who sometimes make a decision to reduce their fee in order to achieve other benefit such as artistic development. Again, this is taken into account when considering the application." While we would want our national funding body to police acceptable rates of pay, Cate’s statement acknowledges that life is not that black and white: there may be valid reasons why choreographers and producers aren’t able to budget for higher rates, such as match funding falling through, and I think that what we need to do is to work with these artists who offer lower rates to educate and assist them with prioritising artists’ pay in their budgetting, and not demonising them. Not only do we have a really small industry, many of these people are our friends as well as past, present or future employers, employees and collaborators. And it’s in many – but of course not all – cases that dancers will be more willing to accept lower pay if it’s for a friend or for a project they believe strongly in. Clearly, work needs to be done with Arts Council in order to promote acceptable rates of pay, which Cate recently mentioned that they are starting to review, while Nikki Watson of CoDa Dance proposed that there should be a closer working relationship between Equity and Arts Council, and with Equity and Arts Council-funded artists to ensure that dancers are paid fairly; I’ve pitched this to IDMN as part of its advocacy work. There is evidently a need for something like this to happen, following Equity Dance’s requisitioning of a large number of GFA applications in order to study Arts Council’s monitoring of rates of pay. I could not get a statement from Equity about this study, however I understand it reflected what we all expect to see: a huge variation on rates of pay offered and little intervention on Arts Council’s behalf to regulate or monitor this. That next takes us on to Equity. We all remember Nicholas Keegan’s earnest campaigns to be appointed as Equity’s Dance rep, then once he was appointed in 2014, the freelance dancers’ network and the rate card rapidly followed, which have been two very important developments. The rate card provides us with the Equity minimum rate for dancers, yet in my research, I found a consistent frustration at the lack of guidance on how to apply it – which is understandable when all of the Equity Dance panel members are young and very hardworking dance artists, and there’s only so much they can achieve in a short space of time. If I could have one wish, it would be to scrap the Equity minimum rate altogether and start afresh. Perhaps, as one choreographer suggested, that would mean that we could replace it with a rate twice as high. Not only is this because dance artists deserve to be paid far far more, but as the 2003 report touched on, dance artists are unemployed for significant chunks of the year, so they need their paid work to help cover the times when they are not paid. This is not unreasonable: Sally Marie proposed to do exactly this in late 2015, and even ITC – which negotiates the rates used by Equity – urged that dancers are paid higher rates for short-term and/or sporadic contracts, exactly for this reason. We know there are a lot of reasons for contracts covering sporadic dates, and we know that choreographers need their dancers to be present for all dates, which makes it hard for dancers to turn down other work to confirm their availability. It could be because studios are only available on certain dates, or because the choreographer is working with a larger cast and wants to work on smaller subgroups each day. And once we get to touring, you’re not going to be able to tour every consecutive day, and it can easily be one date per week or less. Some people like Rosie Kay do the best they can to work with this schedule to offer outreach and teaching work in the interim, or are very flexible around dates, which means her dancers can have more financial stability. Others may offer month-long contracts, regardless of the days worked, to put their dancers’ minds at ease. Of course it’s not ideal, but this is a dancer’s reality, and it’s extremely prevalent, however it doesn’t have to be a negative thing: the choreographers may have their own work to do in this time, such as admin, tourbooking and fundraising, hence the lack of rehearsals, or – more likely – that may have been all they’d managed to budget for. We also have to remember that choreographers are typically doing the best they can with the funds and resources they have, and that many are reducing their fee so that their dancers can receive more. It could well be that we’re asking far too much of them, and they certainly have been proactive in responding to individual contractual and legal abuses. But there are mutiple things we want, such as the Equity Minimum rate being scrapped and replaced with more realistic baseline rates, and for multiple rates to be available according to dancers’ ages, experience, other skills or contributions to the role. As Ian Dolan pointed out, he and many of his peers, especially in Europe, have a BA and an MA and speak at least one foreign language, so they should be entitled to significantly higher than the current minimum rate. And what is the minimum rate, really? Having already discussed the definition of Equity minimum rates of pay with Equity and with ITC, I thought I'd ask around to see how artists defined Equity Minimum, as it's become a benchmark which so many are familiar with but don't really question. One friend responded with "the bare minimum wage to survive as an Artist!" while my stage manager, Cat Harmer, had heard that "Equity Minimum" actually meant the minimum amount that an employer ought to pay you in return for a defined number of hours work. And as Jen Irons rightly stated, "it is the minimum starting point rather than the minimum you can 'get away' with paying." Following on from that, Natalie Querol, of The Empty Space in Newcastle, pointed out that "people take the basic weekly rate and ignore all the other bits of the agreement such as holiday pay, directors' fees beyond the weekly rate, touring allowances etc"; Nicholas Keegan, Equity’s dance representative, agreed with her, saying "I'm not keen on people just quoting 'Equity rate', because like you say, there is more to it than that". People are currently treating Equity like a pick and mix, not understanding that there is more involved than paying people the bare minimum, such as dancers' additional rights and extra money that they are entitled to. As Charlotte Jones, the Chief Executive of ITC, told me, the Equity/ITC minimum rate is calculated on the minimum wage, based on a full year's work. Think on that. Most dancers have trained from a very very young age, have normally trained for 10-15 years by the time they graduate, and are expected to settle for minimum wage. Even 10-20 years after graduation, they are still expected to consider earning minimum wage, or a smidgen above. Think on that. ITC absolutely does not say that this is what artists should be paid, however, and moreover, as "the weekly rate is based on full-time engagement", if artists are to be hired for shorter periods of time - for example, for a small number of weeks or random days, then they should be paid more to compensate for not being hired for a full week or month. Also, as Nicholas Keegan clarifed, Equity classifies a week as "43 hours in a rehearsal week; it is a max 35 hours a week when there are performances" - which is important to bear in mind when some choreographers view the Equity 2016/2017 minimum rate as £440 or £447.50 per week (depending on which version of the rate card you look at) and assume that they can use that for a six-day week. So how do we resolve this? Firstly, through communication, to ensure that all artists understand the minimum that they should be paid and be paying, and how to budget accordingly. Secondly, we have to work together. Artists’ voices only carry so far, which is why it’s important that we have organisations such as One Dance UK, Equity, dance agencies and even IDMN which can communicate at a national level and advocate on our sector’s behalf. And as Rosie Kay rightly stated at the start, the problem does not lie with any one body, just as Arts Council is not our only funding body, when you take sources of match funding into account. So we need to work with a lot of organisations in order to explore how we can make a little bit of money stretch that much further, to ensure our industry and the artists within it can have the sustainability we need. What do we all want? A consistent theme throughout my research was that there absolutely has to be a review of Equity rates and how they are presented. There needs to be better education as to what the Equity rates mean and how to implement them, so that people understand how to budget properly when preparing funding applications. It's unfortunate that dancers' fees are always the first to be cut, but we have to remember that without dancers, we have no work, so their pay should be protected, along with their rights. And we need to find a way to work with Equity and Arts Council to protect these rights, and for our partners and match funders to uphold them. I think that in order to understand the situation we are in now, we have to understand how we got here. At an event in Liverpool last year, Mary Prestidge talked about being part of the X6 Collective – a group of five dancers who chose to work together, independently of the established dance companies – and as there was no such thing as an independent dance sector at the time in 1976, they had to create it themselves. There were no spaces to rehearse or show work. There were no pro classes. There was no dance press to cover independent work. Even Arts Council did not have a separate funding strand for dance, so this had to be negotiated. All of this - all that we now take for granted - had to be created from scratch by them. And look at where we are now. We’ve got this far by being self-employed, by having generations of self-employed dance artists pass through our sector, but now we need to look to the future, in order to ensure that our practitioners, graduates and students have a future which can sustain them. And we’re not self-employed, convenient though that is: if we are hired for a specific amount of time to do a certain amount of work, which cannot be done by anyone else, then yes, we are workers, and we are indeed entitled to be provided with holiday pay, sick pay, maternity pay and all the rest. We cannot change things overnight, but we can at least make a start. We have a lot of work ahead of us, but it’s work which needs to be done so that our wonderful dancers and gifted choreographers and other practitioners can be paid what they’re worth, and not what some teenager working in a shop might aspire to. As Nikki Watson told me, "It’s when you’re not being paid properly for your profession, that’s the bit that stings, isn’t it? But I do still believe, hand on heart, that I have the best job in the world." And finally, when I was back in Newcastle a few weeks ago, I raised this topic with Article19. Their response? "We've written about this already, so we’ve nothing left to say on the topic." Fair enough. But let’s keep talking. Enormous thanks to everyone who has contributed to this article, both confidentially and publicly. Photo of Lauren Bridle and Chris Rook in rehearsal at Royal Opera House by me.